In accordance with the Bushido code, which held honor above all else, a samurai would perform seppuku to avoid capture or as punishment for breaking this sacred code. 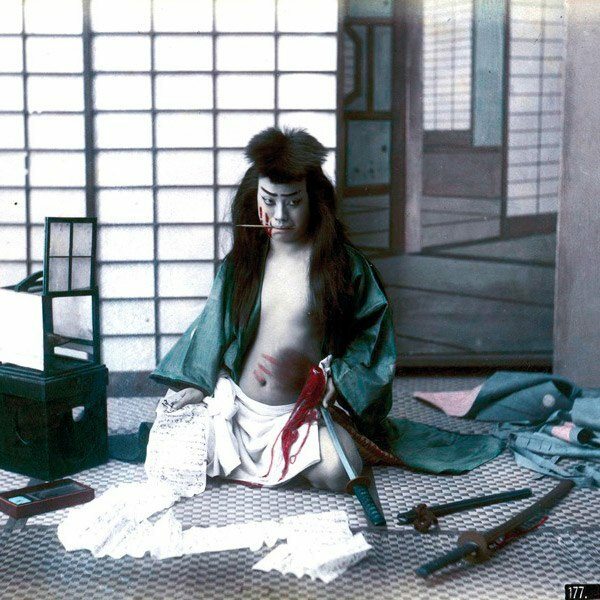 The earliest written cases of actual seppuku being performed were in the story of the 1156 Hōgen Rebellion. 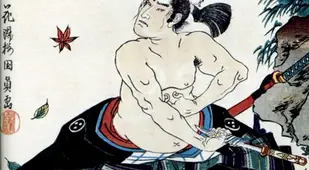 In this story, warrior Minamoto no Tametomo was said to have reacted to defeat by cutting his own stomach open. 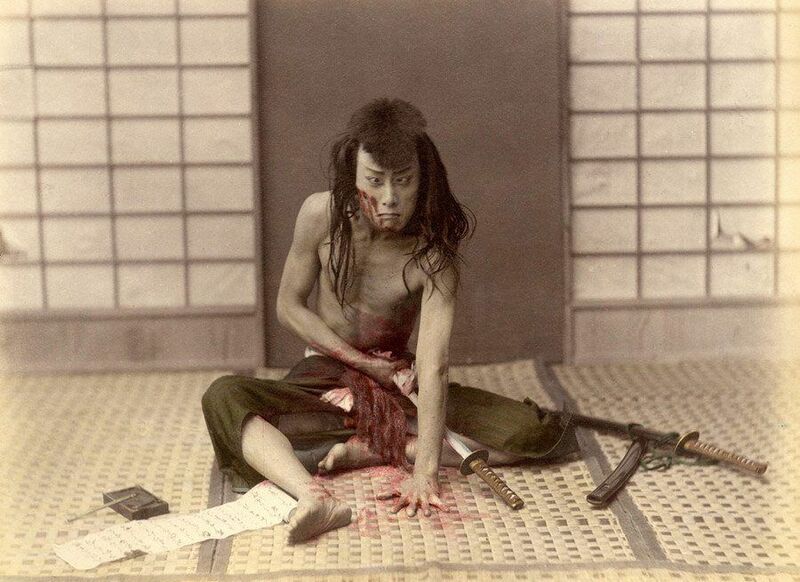 By the middle of the 19th century, seppuku was on the decline along with the samurai way of life. 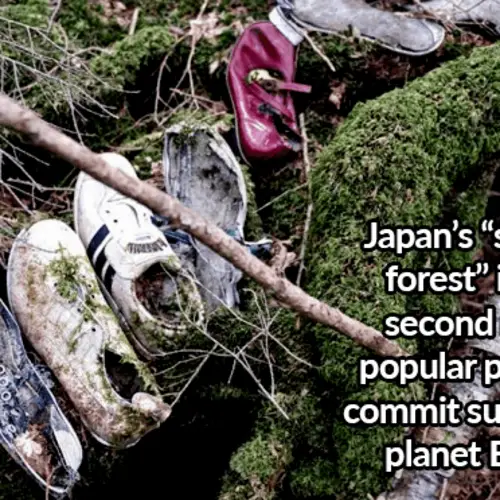 However, it would still be roughly 100 years before its practice had all but been phased out of Japanese culture. 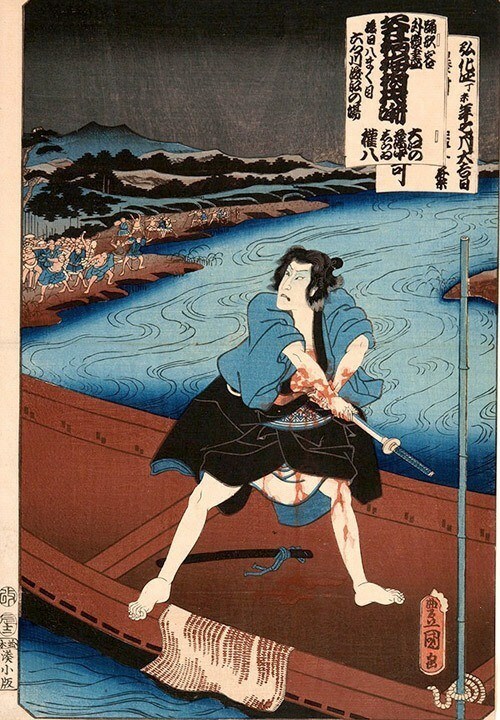 Here a samurai is shown in the process of committing seppuku, his death poem at his feet. 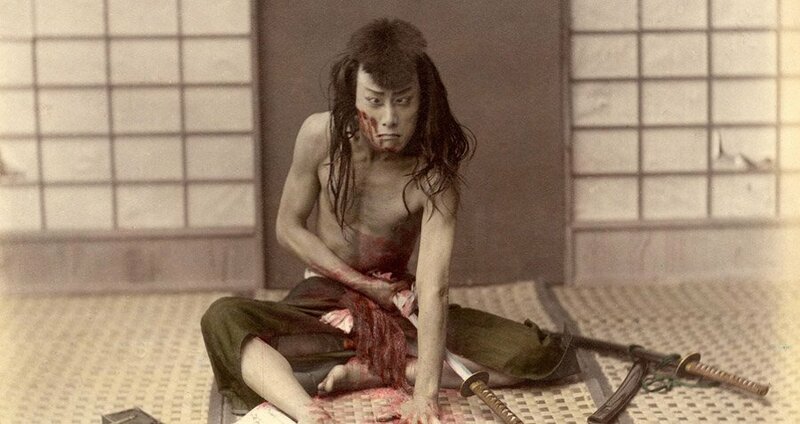 "Seppuku" is translated as "stomach cutting" and would be performed with a tanto, a short dagger. 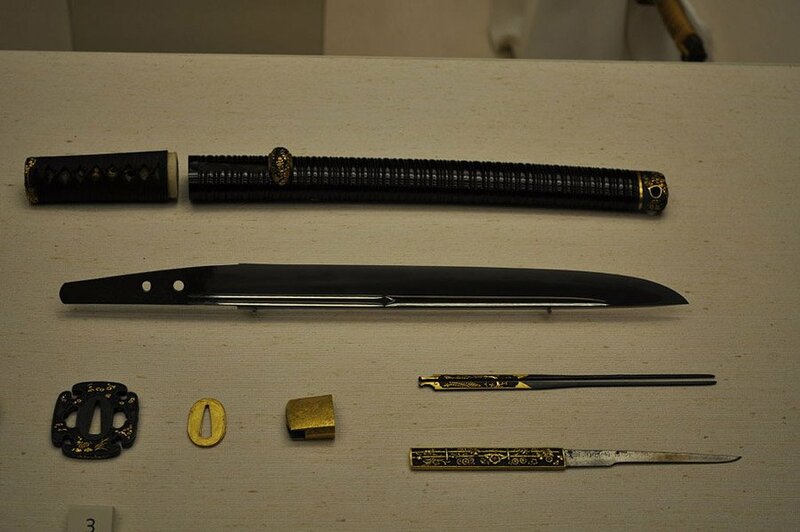 As with all things related to seppuku, how the tanto was inserted into the gut was carried out in a specific way. The blade would be thrust into the left side of the belly and pulled to the right with a sharp upward cut at the end. Prior to the 17th century, the practice was less formal and often resulted in a slower and more painful death as participants bled out. The kaishakunin was not supposed to fully sever the head, but leave it still slightly attached at the throat. Failure to do so earned one a bad reputation. A modified version of seppuku would occasionally be used as a form of protest against the actions of a ruler. Known as kanshi, this version would see the samurai commit the act and then quickly bandage the wound. He would later appear before his lord and state his grievances before removing the bandage to expose the mortal wound. Isao Inokuma, (second from the left) won a gold medal for Japan in martial arts at the 1964 Olympics and is the last known person to have performed ritualistic seppuku. On November 25, Mishima and five uniformed followers charged in to the Ichigaya Station of the Japanese Ground Self-Defense Force, slashed at soldiers who tried to stop them and took over the commanding officer's offices. The coffin containing the body of Mishima is carried out of the office of General Kanetoshi Mashita at the eastern headquarters of Japan's Ground Self-Defense Force in Tokyo on November 25. Seppuku was an incredibly ritualistic process and involved the samurai going through a number of preparations before committing the act. One of these was writing his death poem, which was supposed to be eloquent and attest to their emotions, but not directly mention death. When carried out as punishment, seppuku was not typically a solitary act and was performed in front of one's peers in the garden area of a temple. The participant would be properly groomed and bathed and dressed in white to symbolize purity. A servant would typically place a small wooden table in front of the participant that would be set with a sake cup, tanto, and a piece of paper for writing the death poem. The Japanese samurai tradition of Seppuku is one of the grisliest and most painful ways to end one's life. 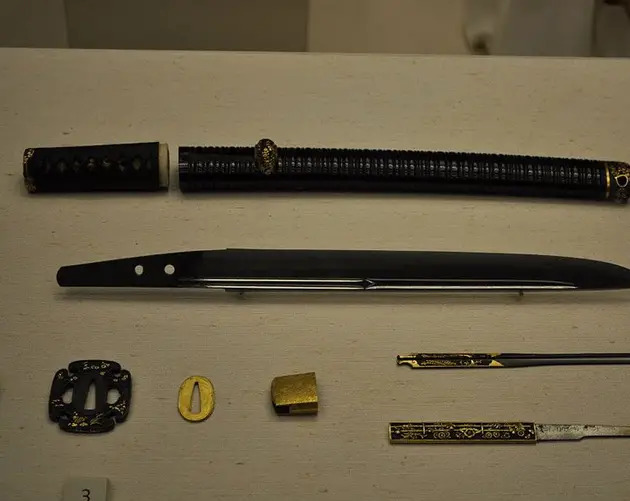 The practice involved a highly ritualized process of essentially disemboweling oneself with a dagger and either bleeding out or having a peer finish the job by beheading. The centuries-old practice was once common in Japan's military and it wasn't until World War II that it seemed to finally be put to rest. 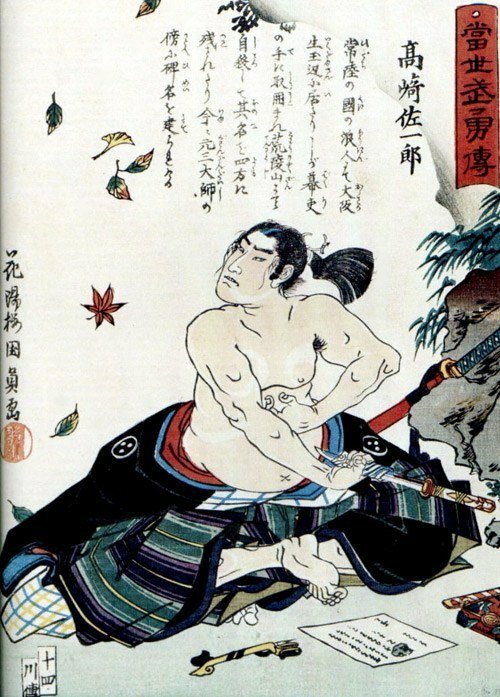 Like the traditions of many Old World cultures, the dying out of Seppuku was the result of Japan being forcibly opened up to the outside world during the 19th century. Before then, Japan had been closed off from much of the Western world with only occasional contact with the Chinese and Dutch trade ships. It wasn't until Europeans and Americans eventually forced their way into trading with Japan that its upheaval into modern society began to occur. During this time, the Japanese government began to reform and was met with resistance from the samurai class. The killing of foreigners or those who did business with them by samurai wasn't all that uncommon. 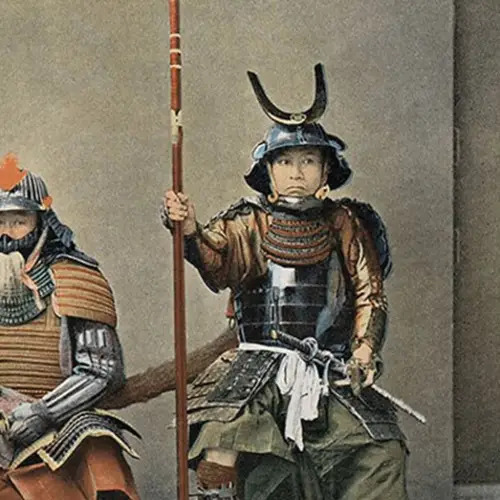 And in 1863, when Emperor Kōmei issued an order to "expel all barbarians" (Westerners), the samurai gladly did the expelling with their katanas. This led to an incident in 1868 when samurai soldiers killed 11 unarmed French sailors who were in the coastal town of Sakai to trade. Seeking justice, Japan's French consul, Léon Roches, insisted that the samurai be executed. Roches had assumed that the samurai would be executed by beheading or firing squad and sent one of his captains, Bergasse du Petit-Thouars, to witness the execution. What du Petit-Thouars saw instead was samurai marching out and performing the old Japanese suicide ritual of seppuku one by one, followed by a particularly poor assist from their peers at beheading. The event was enough for him to stop the execution of the ordered 20 men at 11 suicides. The incident drove the point home to Western diplomats in Japan that, for samurai, seppuku was not a deterrent against killing foreigners. 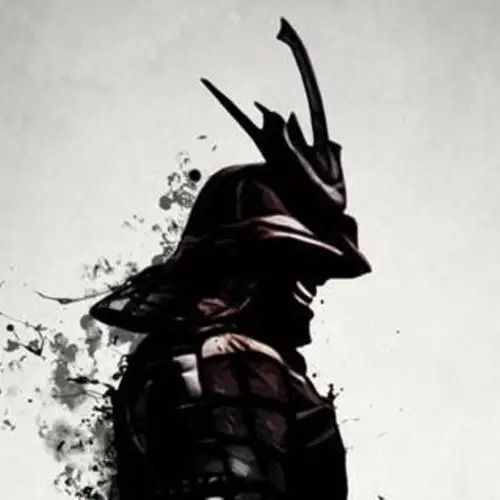 An imperial decree was eventually handed down, declaring that samurai who killed foreigners would be stripped of their rank and punished accordingly. This meant that they would not be permitted the honor of ending their life with seppuku. 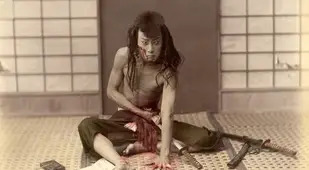 However, seppuku would see somewhat of a resurgence during World War II when Japanese officers would opt to kill themselves with their swords rather than surrender to Allied forces. But with the Allied forces taking control of Japan and forcing the country to adopt the Constitution of Japan over the Meiji Constitution, Japan went through another cultural upheaval. 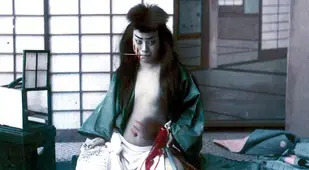 The Emperor became only a figurehead and a parliamentary government was put in place, rendering seppuku a tradition that had no place in the Japan that emerged in the second half of the 20th century. Next, check out more of Japan's Imperial era and be sure and dive deeper into the lost ways of the last samurai.